Pronation is the natural way that our feet absorb shock: when our feet strike the ground the arches flex down and in to disperse the impact. Everyone pronates! Pronation is the natural way that our feet absorb shock: when our feet strike the ground the arches flex down and in to disperse the impact. Contrary to popular misconception it is healthy and normal. The problem begins when one or both of our feet pronate too much. 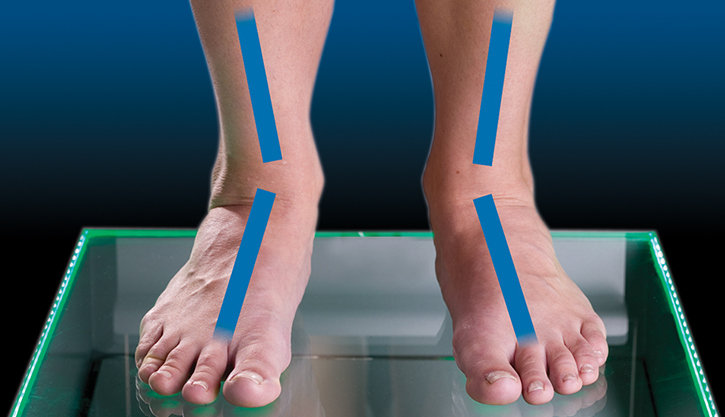 When the arches flex too far inward or stay collapsed for too long pronation is considered excessive. Overpronation is by far the most common foot type. 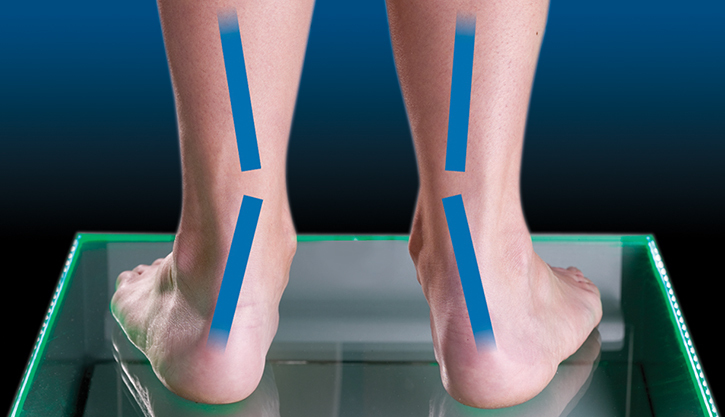 Pronation is not linked one-to-one with low arches. 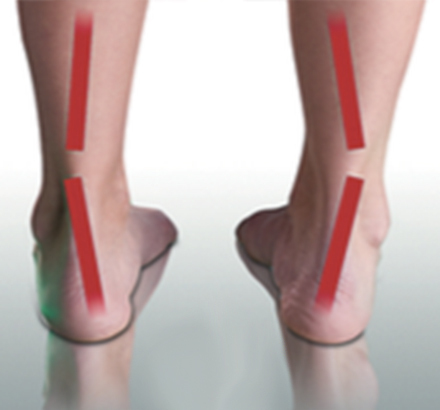 Although pronation lowers the arches, this does not mean that only those with low arches overpronate. People with high arches can also over-pronate! Some of us have always overpronated, for others overpronation develops with age, weight gain, regular standing work or intensive exercise. HOW DO I TELL IF I OVERPRONATE? Noticeable wear on the instep side of shoe heels can indicate overpronation, however it’s best to get an accurate assessment. 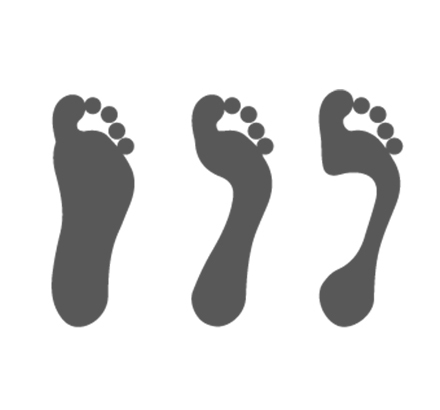 FootBalance retailers offer a free foot analysis to check for overpronation and help you learn more about your feet. WHY SHOULD I CARE ABOUT OVERPRONATION? Overpronation can negatively affect overall body alignment. The lowering of the longitudinal arch pulls the heel bone in, causing the leg, thighbone and hip to rotate inwards, and an anterior tilt of the pelvis. Unnecessary strain to the ankles, knees, hips and back can result. Plantar fasciitis and inflammation, metatarsal pain, problems with the Achilles tendon, pain on the inside of the knee, and bursitis in the hip are just some of the conditions commonly associated with pronation. WHAT CAN I DO ABOUT OVERPRONATION? Studies have shown custom orthotics to be a great help for overpronation. FootBalance custom molded insoles offer you the benefits of custom orthotics at an affordable price. Our insoles properly support your feet in the neutral position to aid in a balanced stance and facilitate healthy foot function. 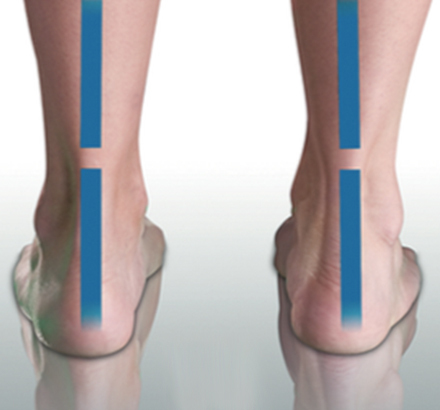 A patented core helps strengthen foot muscles and arches to prevent a worsening of your overpronation.